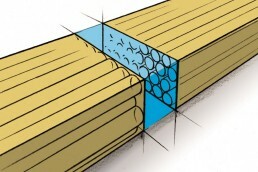 Mass Timber Connections: Building Structural Design Skills. This week our folks are leading workshops in Texas. Still time to come and join us! Allison’s expertise is with the design of multi-family residential buildings high-end single-family residences. From cozy cabins to 30,000-sf (and larger) estates, she is well-versed in projects of all shapes, sizes, and materials. Allison is passionate about architecturally expressive structures and prides herself on providing the high level of attention that is required to create a successful finished project. Bernhard has a decade of international building design and construction experience, having worked in Canada, Germany and Switzerland. He has a degree in Timber Engineering from Bern University of Applied Sciences, Switzerland, is a Member of the Association of Professional Engineers in BC, and is a Chartered Member of the Institution of Structural Engineers UK. He offers a unique skill set in the field of structural engineering due to his hands-on experience as a licensed carpenter. While possessing expertise in timber engineering, Bernhard is proficient in all major building materials. He believes in using the right material for the right project. He has an excellent track record in developing concepts for structural systems and connection details – creating innovative and cost-efficient solutions. 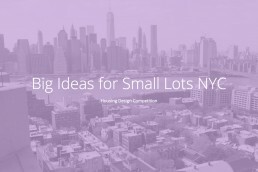 We are super excited to announce our submission with INC_A & Spiritos Properties to Big Ideas for Small Lots NYC. A two-stage design competition for small-scale, urban infill housing. Seeking to address affordable housing. We are excited to announce a proposed project on the Malahat Summit, an elevated ‘Skywalk’ with 40-metre spiral viewing tower. 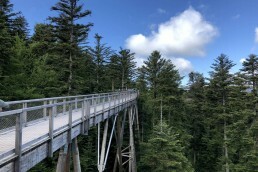 It has been featured on Global News: Southern Vancouver Island could be next in line to get a high-profile tourism project. 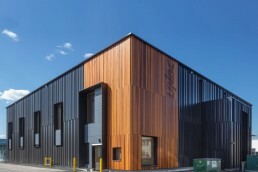 The Wood Innovation Research Lab (WIRL) winner of the 2019 Environmental Performance Award BC Wood Design Awards! Featured on naturally:wood website – WIRL at UNBC is a space to test state-of-the-art building systems.